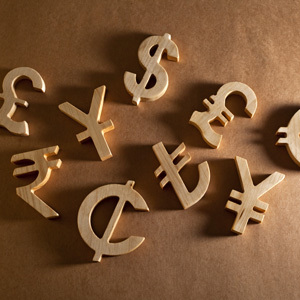 Businesses and banks in Singapore are increasingly focused on the Chinese renminbi, with financial institutions introducing new hedging products and specialised teams to deal with yuan trade. According to a Straits Times article titled “Business and banks see greater focus on yuan”, more and more firms in the global financial centre are also choosing to settle their transactions with Chinese partners in yuan, instead of the usual US dollar. In addition, they are hedging investments against currency risks that may arise. This is mainly due to the island-state’s growing reputation as a clearing house for yuan trades and transactions, which makes it easier for firms to do business in that currency. A clearing house is a financial institution which settles trade accounts, clears trades, regulate delivery and report trading data. It is also aided by the fact that the renminbi remained relatively steady during the 2008 global financial crisis. Mr Ng Kwee Ming, United Overseas Bank’s executive director of corporate treasury and advisory, said China’s economy will continue growing stronger with the yuan appreciating. The financial reforms on interest rates, the currency and stock markets which Beijing is expected to introduce will also allow the yuan to flow across national borders more easily. Mr Satish Bakhda, Head of Operations, Rikvin, said this is an ideal opportunity for firms which want a slice of the action in China to base themselves in Singapore. “Because the yuan is projected to appreciate in the medium term, firms and businesses which transact with Chinese partners out of Singapore will enjoy increased substantial cost savings and increased profits from the rising yuan. China’s economic growth may slow, but will still be strong relative to the rest of Asia,” he said. Mr Bakhda also said the increased use of the Chinese renminbi in global transactions is also sign of the currency worming its way gradually into the world liquidity system as a viable reserve currency. “Chinese officials have long wanted to position the yuan as a reserve currency, but have not actively pushed for it to be so as they want to proceed cautiously. My guess is they are worried about suffering from the Triffin Dilemma and not expose China to volatile capital flows,” he said.